With an aileron wing. 3-4 channels. Thin fuselage available on request. With both an aileron and a poly wings and one fuselage. ​The drop own price includes plane and shipping. The 36″ Pelican is a more compact version of our Albatross slow flyer. Smaller in size it can be faster and more aerobatic than the Albatross with the same motor set up. If you use a small motor with a 2S battery and keep it light it can be gentle and slow. I have flown the Pelican hundreds of times and it is a great plane for all flyers. It is cut from EPP and is one tough little plane because of its solid EPP wing and fuselage. We started putting the motor on a pod to make room for FPV gear on the front of the fuselage but we are finding the Pelican became harder to trim and launch. When the motor is on a pod the Pelican is very sensitive to motor angle and tends to make the plane pull up or down more than the motor mounted on the nose. 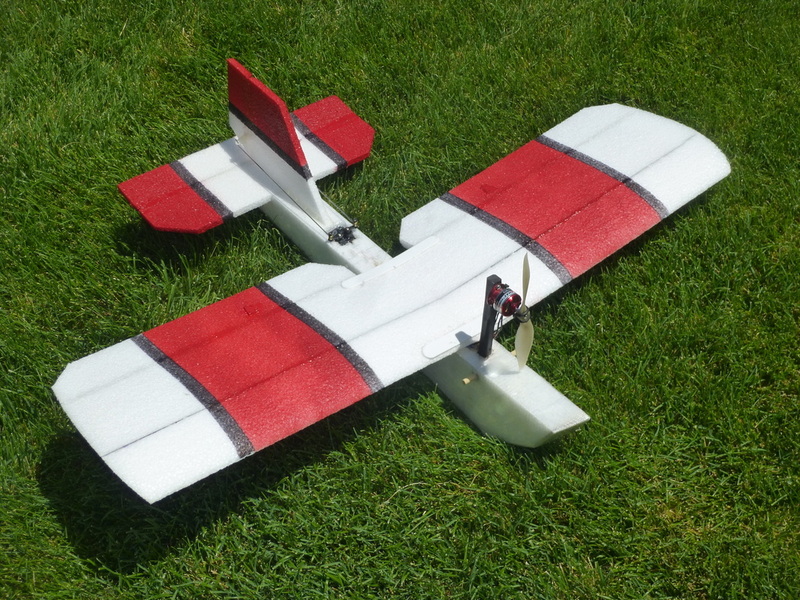 Kits sold over the last year have an updated fuselage with an improved motor angle on the nose making it easier fly. I have cut the motor pods off a couple of my night fly Pelicans and updated the motor angle to the new angle we are using on the nose and am pleased with how much easier they are to fly. Shown above is the Pelican with a polyhedral wing and aileron wing. Which is best? If you are beginner I recommend the polyhedral with a nose mount motor. 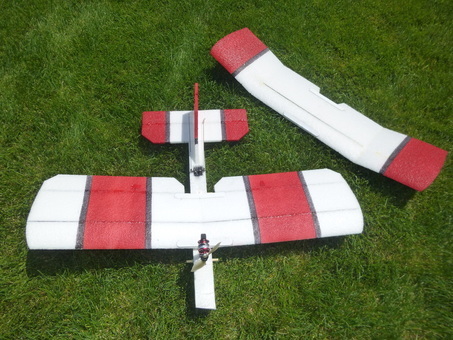 The aileron wing is fun for more advanced aerobatics. We offer a two wing kit for those of you who can't decide. ​How does self stabilization work? The poly wing is the king of self stabilization. 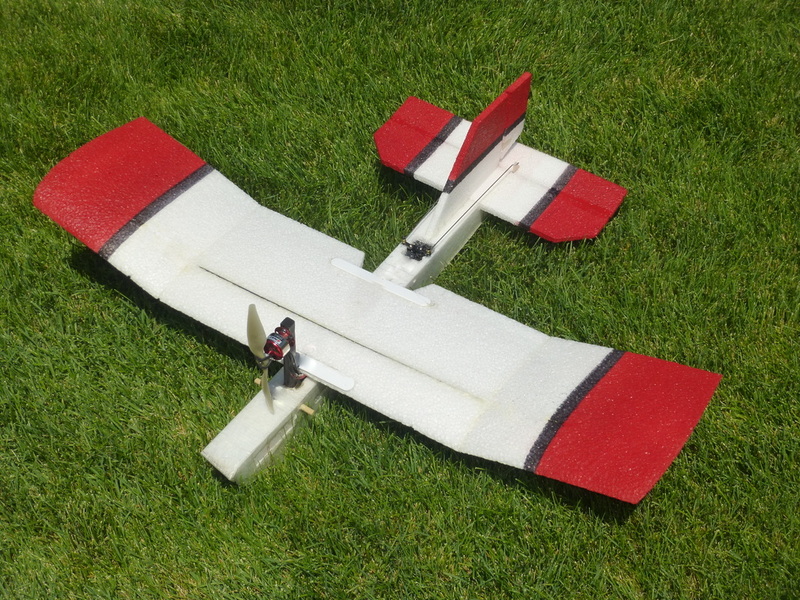 Although the aileron wing has some of the same action it flies more like a sport plane but still has an amazing glide. The poly wing wants to be level and if rolled to one side will try to roll itself back to flat and level flight. The front to back stabilization is based on speed. As you trim in your plane you will basically be setting what speed you want it to fly. Let's say you set the speed at 25 mph. If the plane goes slower than that the nose will drop until the plane comes up to the 25 mph. If it goes faster than 25 mph it will climb until the plane slows down to 25 mph where the elevator was set for the speed you want. If you put a big motor on the plane you will have the plane pulling up when the motor is on. We have found that setting the speed for stable flight makes the Pelican very easy to fly. You have to match the motor and power to the plane. We have found that a 2S battery with a 2812-1534 motor is an inexpensive set up that gives the right amount of power. 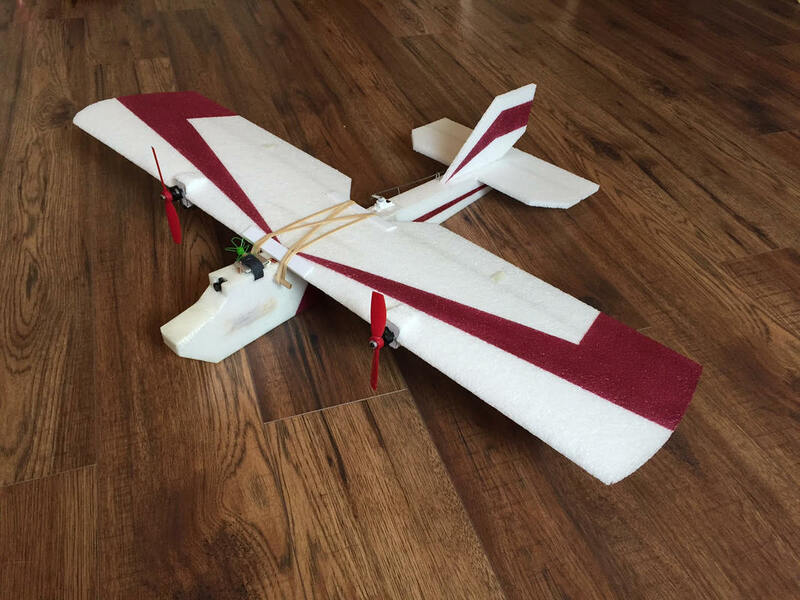 Whether you’re a new flyer looking to get some experience, or an experienced flyer looking for a plane to train your friends and family, this unique model is designed to help you. The Pelican is designed to use a 2S battery and the same low cost motor, speed control and servos as the high performance Assassin and Widowmaker. The 2S battery gives it the right amount of power for the Pelican. The Pelican flies well at 1/3 to 1/2 throttle giving long relaxed flight times. This is a great night flyer with LED lights. The 36″ Pelican is made out of the same tough EPP foam as our combat wings making it one of the most durable trainers on the market. The entire EPP fuselage acts as a shock absorber and all the radio is buried in the foam to offer excellent protection. The low speed makes this a great plane for learning to fly. It is designed to fly slow and is great for small parks or fields where noise is an issue. This is one of the quietest planes I have flown. Many advanced flyers are flying this plane. It is just fun to fly. Try one and see for yourself. Please log in and join the discussion at: RCGroups.com "EPP Tough - the best slowflyers on the planet"